We are happy in announcing this new publication Kalpa Vedanta. Origin and development by Dr. Bhagyashree Bhagwat really deserves congratulations for fulfilling the long felt desideratum about the Vedic Ritual. 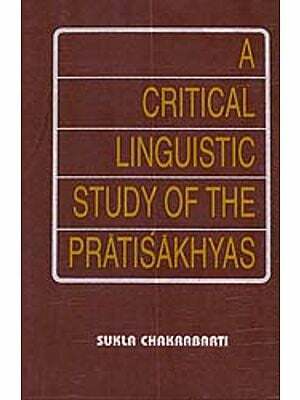 The history of Vedic literature deals with this topic from view point of the history. 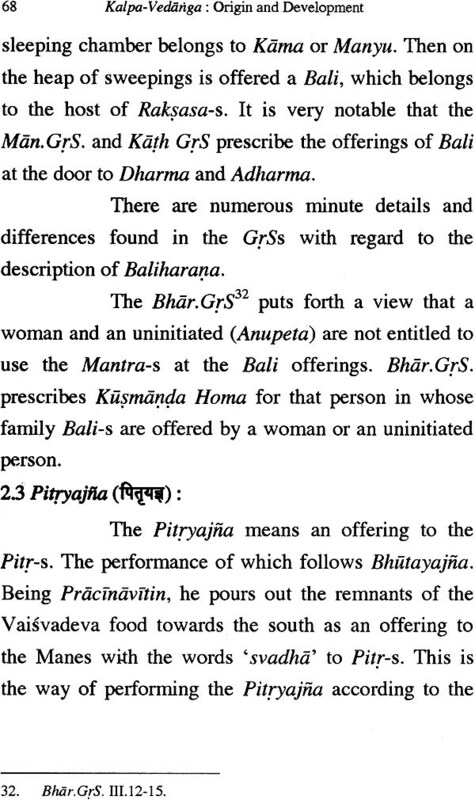 The texts on Dharmasastra-s have their own view point of studying the Kalpa Vedanga. However the study of the kalpa Vedanga from view point of the rituals customs ceremonies the variations their in their social implications religious bearing etc. was awaiting yet. The present study has succeeded in revealing various facets of the kalpa Vedanga. 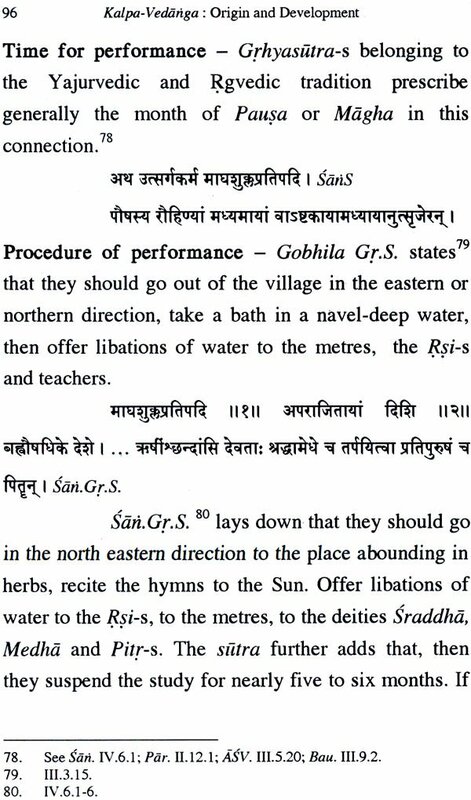 In a way this is a journey of the rituals from srauta up to socialized one through smarta and paurana. We are sure that this book will cater the need of the students who want to study the history of the Vedic literature. This will also satisfy the curiosity about the elaboration curtailment, modification, replacement in the ritual in the course of time. Although Dr. Bhagyashree Bhagwat has studied the subject from various view points we admit that it is the first step towards the study of the ritual. We think that the scholars will appreciate this work and will get inspiration to further it on different directions. I sincerely express my deep sense of gratitude towards the authorities of the Rashtriya Sanskrit Samsthan New Delhi for substantially funding the entire Adarsha Sanskrit Shodha Samstha Scheme. With deep respect and gratitude we remember the late Shrimati Moti Gopal Nigudkar and the late Shri Vasant Gopal Nigudkar as per whose desire expressed in their letter of last wish the amount of Rs. 1,25,000/- was donated to Vaidika Samshodhana Mandala by Mr. Arvind Sarpotdar (Their nephew). As per the terms laid down by the executor the interest generated by that amount is partly used for this research publication. We hereby pay our homage to these generous souls. The late Shrimati Moti Gopal Nigudkar and the late Shri Vasant Gopal Nigudkar. We could not but express our humble gratitude towards H.H. Shri S.A.R.P.V. Chaturvedi Swami of Sri Ramanuja Mission Trust Chennai for sponsoring the paper for the printing of this book. We accept it as the blessings from Swamiji. I also thank Ms. Ketaki Gokhale for prompt and perfect typesetting and Ms. Vaijanti Dhole Patil and Surekha Wagle of step in Services Pune for speedy printing. Vedanga kalpa is related to the Kriyatha i.e. 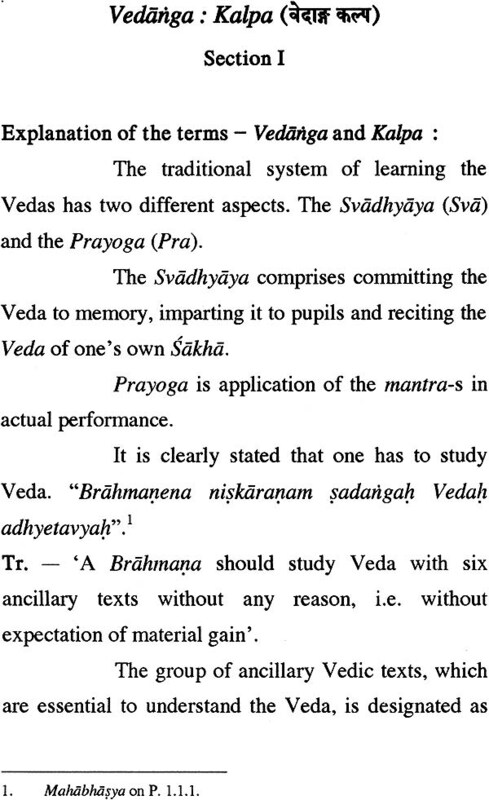 yajna practical aspect of the Veda and various rituals are included in it. 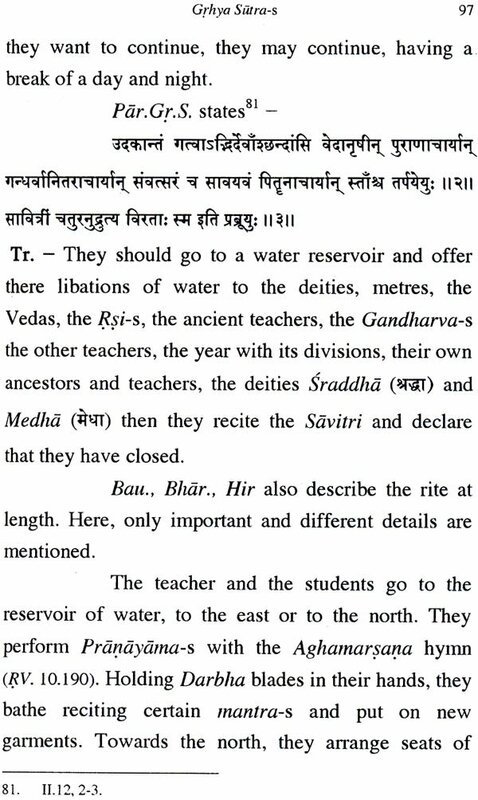 Study of the ritual was in form of direct instructions of teachers to their pupils. As Aurobinda says this ancient knowledge has dimmed in practice. Besides the existence in bulk of literature related to the Vedic texts and the commentaries etc. the language has become obscure because of the disappearance of the method of study. As a result a modern scholar is often confronted with puzzling questions. A modest attempt has been made in this book to introduce the purport of the contents of the Vedanga by explaining the basic important terms and pointing out the significance of the kalpa which can help the reader and researcher to realize its frame of ritual. For this book Dr. Bhagyalata A. Pataskar Director Vaidika Samshodhana Mandala, Adarsha Sanskrit Shodha Samstha has inspired me. I take this opportunity to express my sincere regards towards her. I am grateful to Prof. G.U. thite for his suggestions. My thanks Mukhedkar and Mrs. Hema Barve for their help. I extend my thanks to Mr. Anant Shinde from Vaidika Samshodhana Mandala for drawing a nice picture of Srautagnis. Miss Ketaki Gokhale deserves credit of the appealing presentation of this book. Hope the book will help the students of M.A. and all the researchers in their study. Rituals have an important role in the life of an individual and in the society. The literary basis of the Vedic Rituals is the Veda which includes Samhita Brahmana, Aranyaka and Upanisads. 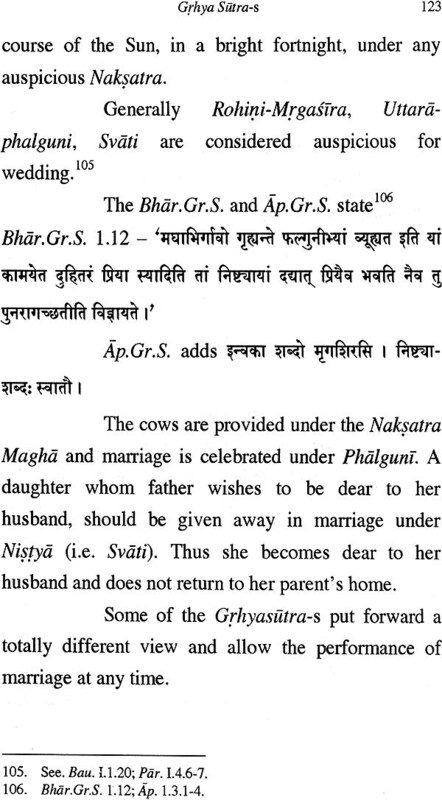 Next to Upanisads it would be proper to mention not only Srautasutra-s but the Vedanga kalpa as a whole. 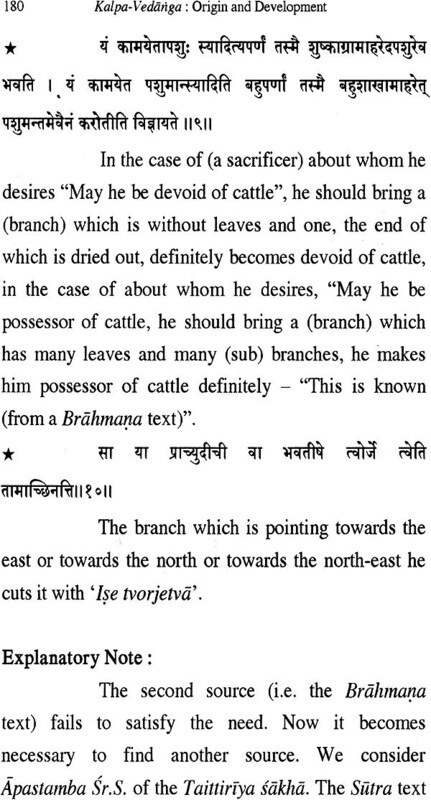 It deals with Vedic rituals in the systematic manner, following these texts. 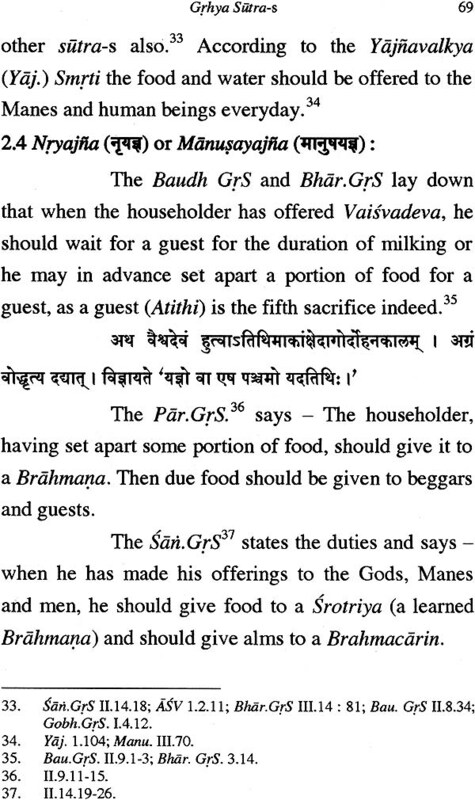 Vedic people had developed certain rituals the performance of which was obligatory for them. kalpa includes such rituals related to the individuals and the society. It is customary to regard kalpa as a component part of the Vedic literature though Kalpasutra-s do not claim apaurusyatva. Kalpa is a complex which includes four types of texts viz Srauta, Grhya, Dharma and Sulba. The ritual contents in all the three Sutra-s are the codification of rules of the traditional behavior and established practices in the sutra period or even before that. The Sutra-s concentrate on ritual and customary details as well. As Sri Aurobindo says this knowledge possessed and practiced has been dimmed in knowledge and has lost in practice Kalpa means various well established performances. 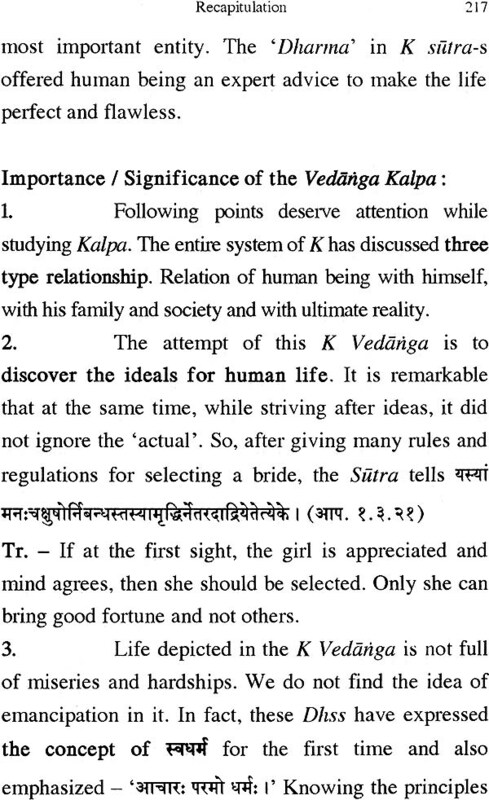 As a Vedanga Kalpa deserves attention with reference to ritual. Since Vedic ritual tradition is fast disappearing practical performance has become rare. Consequently, the language of these texts has become obsure. 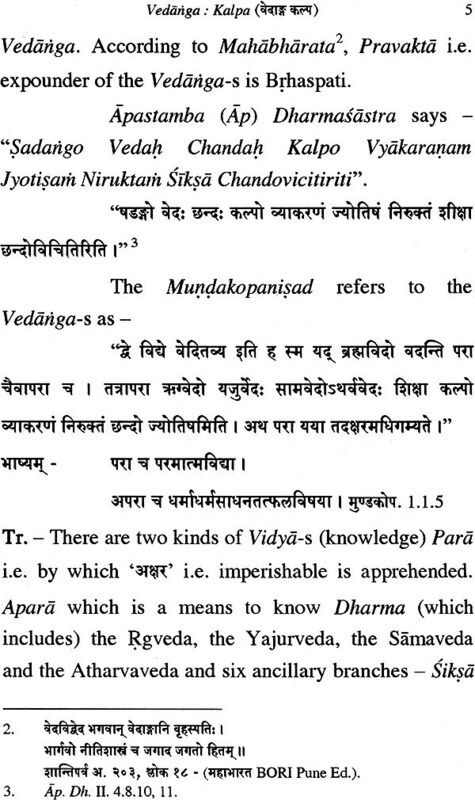 Though considered as a Vedanga one of the six branches of knowledge necessary to comprehend Vedic text the information is not available to us in composite form. 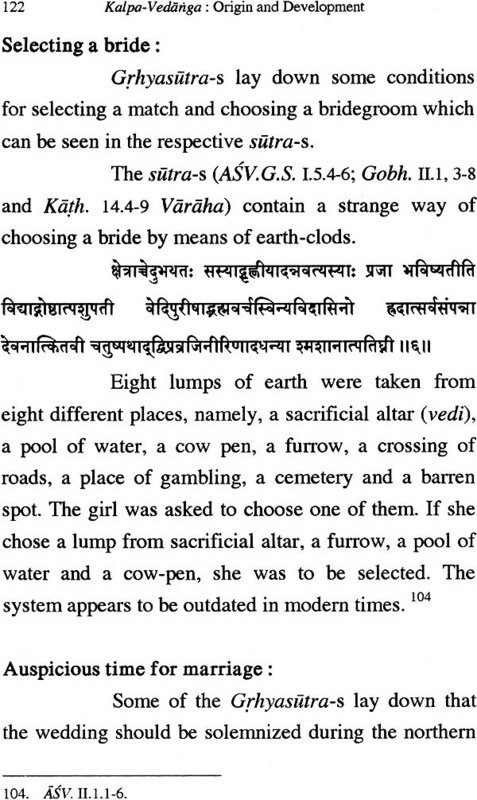 Scattered references are noticed here and there in the Vedic Literature. In this book an attempt has been made to bring the component parts (of Kalpa) under one umbrella and to put forth the import of these texts before the readers. Due to the changing circumstances the tradition of ritual practice is speedily disappearing. It is desirable to deal with the ritual itself which is the main subject matter of his Vedanga. It is better to witness the actual Ritual performances to aid the knowledge. The opening part of the book explains some of the important technical terms. 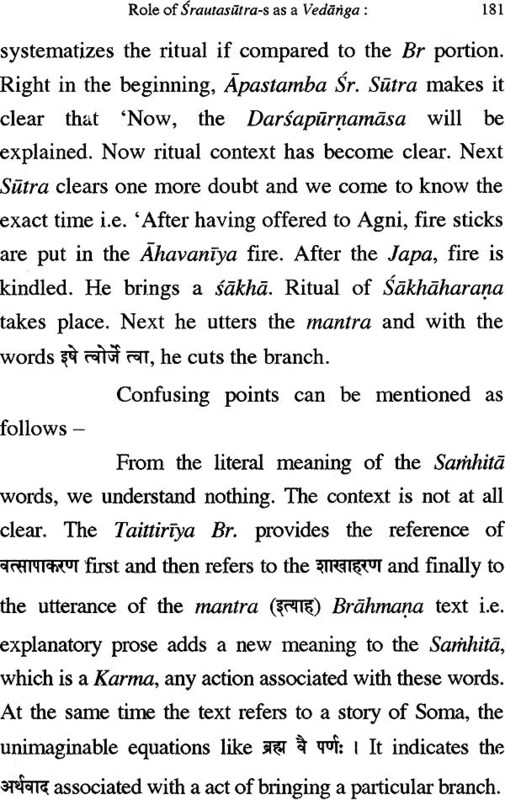 The nest section II deals with four types of texts separately included in the kalpa. 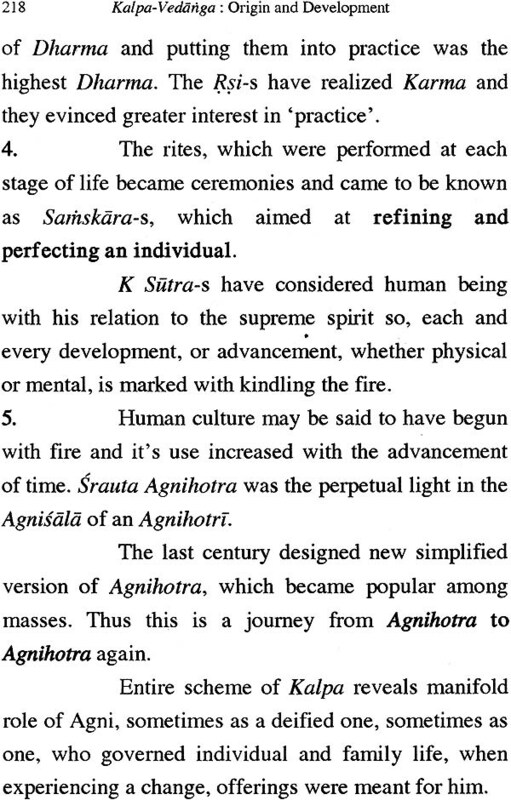 Third part discusses the role of the Srautasura in the ritual tradition and discusses the supplementary texts which provide additional aid to understand the ritual. The next chapter tries to trace the origin and development of the Vedanga kalpa and state how the tradition has reached us. The last section mentions concluding remarks.